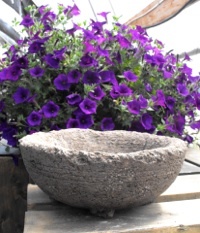 Nothing beats the natural charm of a hypertufa planter. Plants simply adore their new home. Hypertufa and plants are incredible partners. Every pot has its own character, charm and grace. Different colours different sizes, different finishes. The sky is the limit. The pot to the left is 13” inside diameter X 8” deep. This pot is hand laid with rough natural old world hand laid charm. This is natural coloured. Optional available colours are slat and chestnut. This style is also available with legs. 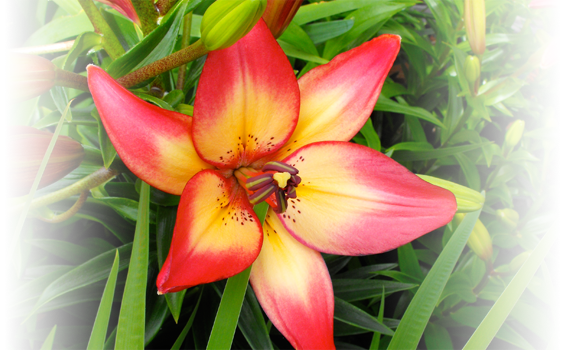 This style is also available in 4” deep style, which is great for smaller plantings and is allow available with or without legs. 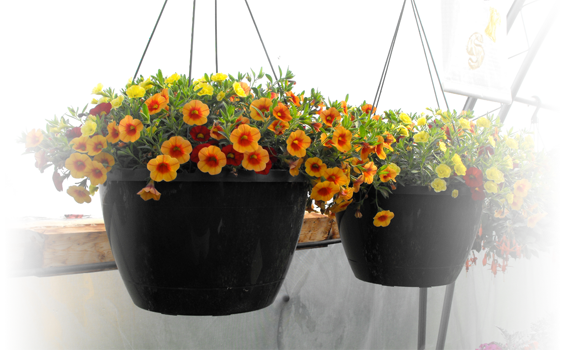 Most popular 12” round plastic hanging pots can be inserted into this pot. 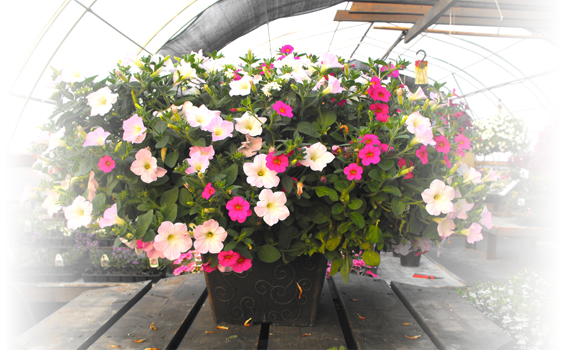 Our 12” X 12” X 9” deep ( inside dimensions ) is a very popular style for larger plantings and deck displays. This pot is natural colour with slightly rounded corners and smooth non mottled surfaces. This pot type is available with or without legs. 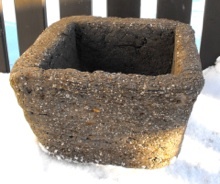 The outside dimensions of our pots are generally 2.5 to 3” larger than the inside dimensions. Deco saucers have are also very popular for table pot arrangements. The saucer in the photo to the left is our very popular 17” round X 9” high saucer pot. These are available in natural, slate and chestnut colour. The deco saucers are only available with legs. This particular saucer is heavily mottled on the edges and sides to provide the old world look.